Not being able to identify your design flaws, failures in manufacturing or processes could result in costly repairs, warranty costs, production delays, catastrophic failures, and even loss of life. Organizations perform Root Cause Analysis to identify and eliminate severe malfunction and potential failures from products and production processes. An inductive approach or procedure often serves as a design aid to identify and prevent catastrophic failures. The need to determine the effect of system and equipment failure becomes more evident and urgent. FMECA (Failure Mode, Effects, and Criticality Analysis) analyzes potential failure within a system, identifies the potential hazards associated with these failures, and classifies them according to their severity. FMECA addresses reliability and quality problems associated with design, manufacturing, process, safety, and environment. There are many published approaches to performing a FMECA. ITEM ToolKit supports the following: MIL-STD-1629a, IEC 61508, ISO 9000/QS 9000, ISO 26262 and BS 5760 Part 5. However, the use of the FMECA module is not limited to these standards. Your specific FMECA needs can easily be modeled. During a FMECA procedure, identifying the failure modes and their effects (Failure Mode Effect Analysis) is often only the beginning. Criticality Analysis is where the failure modes are ranked according to a combination of severity and the probability of that failure mode actually occurring. ITEM ToolKit provides total flexibility for applying FMECA to the two-part analysis and much more. The ITEM ToolKit FMECA module provides an intuitive graphical interface with multiple options for constructing and performing an analysis. With an enhanced hierarchy tree and tabular views designed for user-friendly navigation, data entry and modification have never been easier. 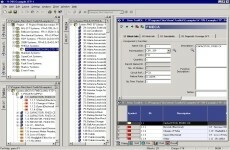 The FMECA module provides a coherent, comprehensive method for entering data. The FMECA Module also provides a phrase library facility containing commonly used descriptions of component parts, failure modes and effects. These greatly speed up data entry and have the added benefit of keeping common phrases consistent. Phrases in this library may be customized to suit your own requirements. The FMECA Module also includes a failure mode and apportionment library, derived from MIL-HDBK-338, which allows you to create commonly used component and failure mode groupings. The apportionment library can either be used when manually creating FMECAs or to automatically create failure modes and apportionments when transferring data from ITEM ToolKit’s Prediction modules. This capability can dramatically reduce analysis times making you more productive. The FMECA Module now incorporates a fully integrated IEC 61508 FMEDA analysis. An IEC 61508 conforming quantitative FMEDA analysis is only a few mouse clicks away. To download a free demonstration of our FMECA software click here.